Muscular pains and aching muscles are commonly associated with overuse, increased tension, or trauma from work-related activities, exercise or physical activity. So, can Osteopathy help with muscle aches and pains? Osteopathy can help as it involves the manipulation of the muscles, tendons and ligaments of a patient. This leads to the relaxation of tight muscles, improvement in circulation and the release of trapped ligaments and tendons. The result? You will feel very relaxed, have increased neck and shoulder mobility and you can get on with your life without pain. By helping to align your joints and smoothing out areas of scar tissue and other muscular irregularities, Soft Tissue Release breaks the muscular pain cycle at its root, accelerates the healing process, and restores muscular balance in a lasting way. Muscle Energy Techniques also help to stretch and strengthen muscles whilst breaking down fibrous adhesions. Clients often report a significant and lasting reduction in muscle pain after just one treatment. Muscle pain, or myalgia can also be associated with autoimmune disease, rheumatological conditions, drugs, infections and many more. Osteopaths undergo a minimum of four years training. This is to ensure you get the best help for you. We carry out a thorough medical history to ensure we can help you. If we suspect another cause we will refer you to your GP for further testing. To book an appointment with an osteopath in Hitchin, Letchworth, Stevenage or Hertfordshire please or call on 01462 506166 or email info@hitchinosteopathy.co.uk. I understand that by ticking this box and submitting this form, I consent to Hitchin Osteopathy contacting me by email or phone in order to process my enquiry. 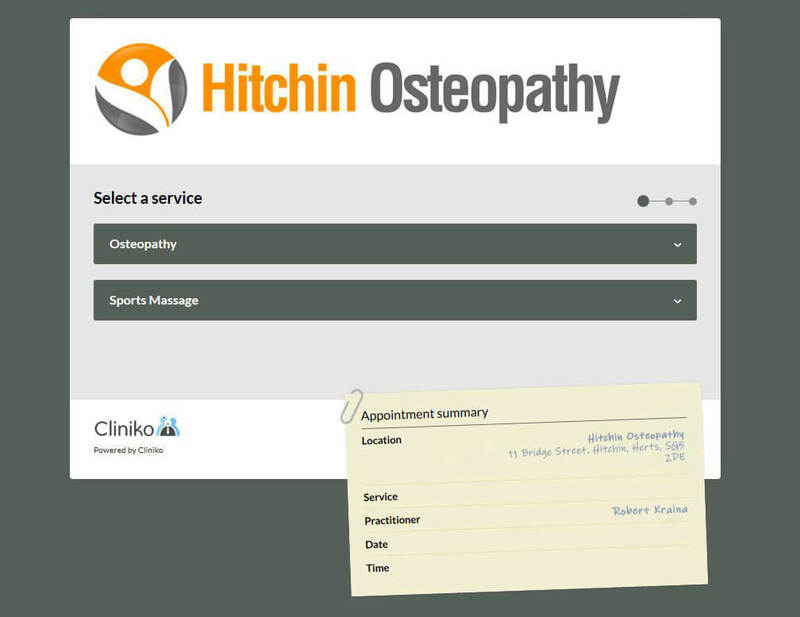 Hitchin Osteopathy will not pass your details onto other companies or third parties.